Hello Dealsnloot Readers,This app is new in market. You will get Rs.10 on Signup + Rs.10 per refer. This app is genuine app giving recharge instant. 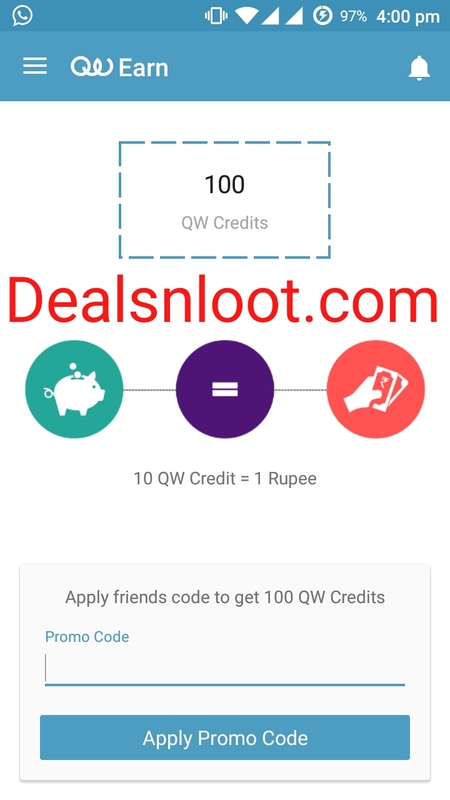 No need to download any other app only Signup and you will get 10p credits which is equals to Rs.10. So just follow my steps and avail this offer. 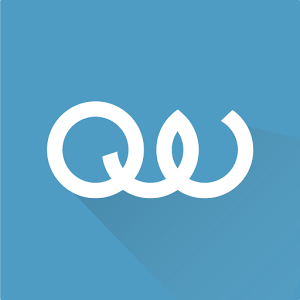 QuikWallet is the easiest way to pay at restaurants, bars and cafes. And with the latest version of QuikWallet you can also recharge your mobile phone and pay your mobile bills!Store your payment cards securely within QuikWallet and transact at select outlets by simply using your phone. Stop handing your credit card to a stranger, all you need to provide is your mobile number. De-clutter your wallet by having all your receipts saved on QuikWallet !So Hurry , Grab This Loot Recharge App And Earn Unlimited Free Recharge. 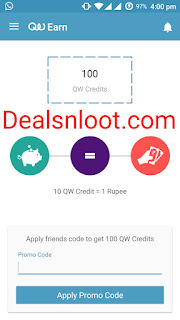 How to get Rs 10 recharge free From Qwikwallet App ? 2. Open the app and click on “Get Started”. 3. Enter your mobile number. A one time password would be sent to that number. Enter that OTP and verify. 7. Your recharge will be done free of cost. 2) Then on Share and get your referral code. 3) Share it with your friends and get Rs 10 per referral. 2) On the third tab you will see Recharge. Note:- You need to verify email to usw QW credits. 3) Enter all the required details. 5) Now pay the amount with the points. We found out a bug in the app due to which one can easily create new account and hence new account will get Rs.10 recharge instantly. So let’s loot it. Please note this trick is just meant for educational purposes. We aren’t at all responsible for any cause. Just clear Quik Wallet app data. Again create new account in Quik Wallet app. Done! You will get Rs.10 in new account. Redeem it for free recharge. Follow the same steps again to loot unlimited.